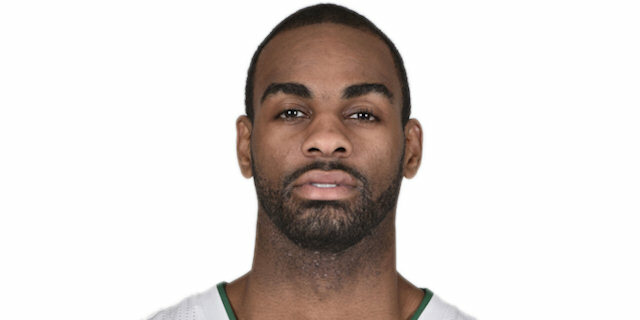 Panathinaikos Athens moved closer to booking a spot in the Turkish Airlines Euroleague Playoffs and denied its guests the same, for now, by rallying for an 84-77 victory over Lokomotiv Kuban Krasnodar in Group E on Thursday. 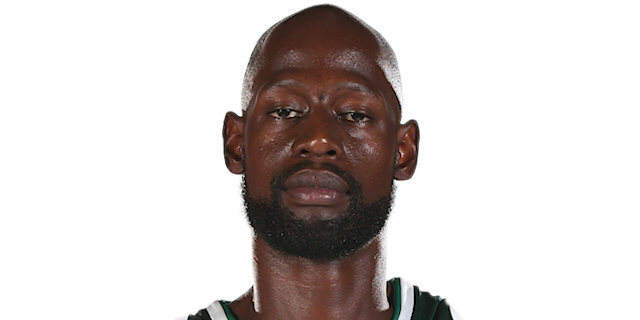 James Gist and Elliot Williams led the way with 16 points each for Panathinaikos, which improved to 7-4 in the group and finally beat Lokomotiv after three previous losses this season. Lokomotiv, which could have qualified for the playoffs with a victory, dropped to 7-4 but still owns the point-difference advantage over Panathinaikos going forward. 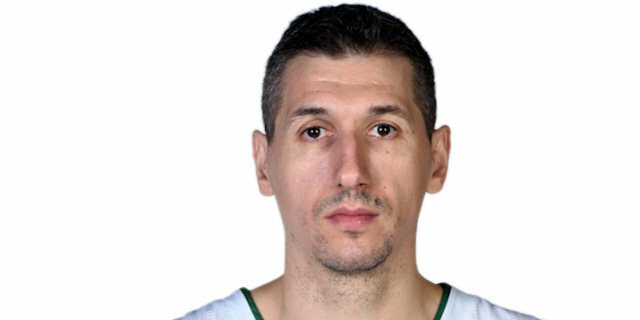 Dimitris Diamantidis scored 15 points and had 6 assists and Nick Calathes chipped in 12 points and 9 assists for the winners. 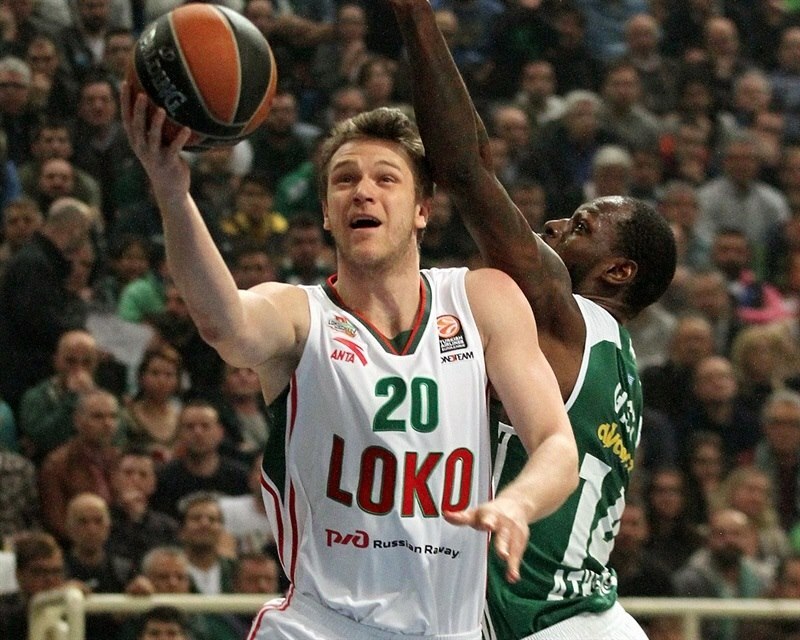 Lokomotiv was paced by Matt Janning with 16 points. Victor Claver added 13 points, Anthony Randolph collected 13 points and 10 rebounds, and Malcolm Delaney picked up 11 points and 4 assists. 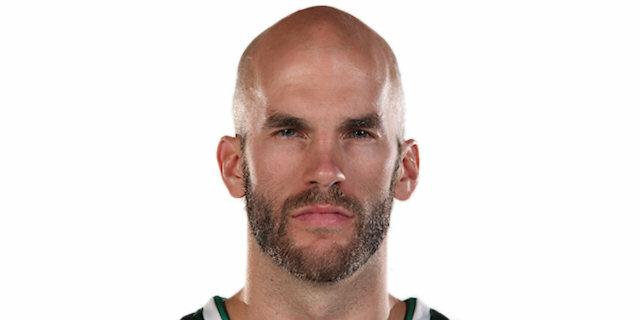 Panathinaikos coach Aleksandar Djordjevic made one change to his starting line-up, with James Feldeine coming on for Sasha Pavlovic alongside Nick Calathes, Elliot Williams, James Gist and Ognjen Kuzmic. 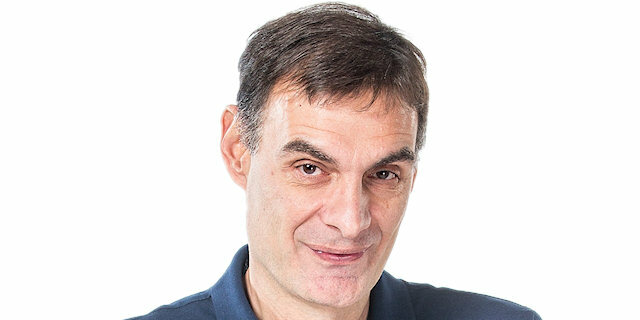 Lokomotiv coach Georgios Bartzokas put out the same starters in Malcolm Delaney, Evgeny Voronov, Ryan Broekhoff, Victor Claver and Anthony Randolph. 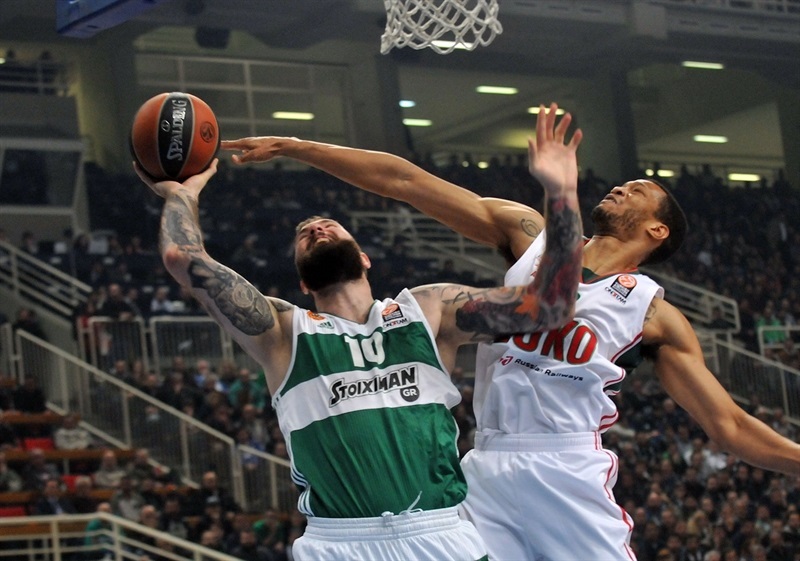 Panathinaikos started the game in style with Calathes throwing up a long alley-oop pass to Gist for a dunk. Lokomotiv finally got on the board after more than 2 minutes as Claver knifed into the lane for a layup. The hosts had their own scoring problems early, going 2 minutes without a basket until Williams hit a reverse layup at 4-2 lead. Lokomotiv took its first lead at 4-6 on a Randolph jumper. Claver scored again on a put-back to keep Lokomotiv ahead 6-8 with Gist knotting it again on another alley-oop dunk assisted by Calathes. Randolph's three-point play put Lokomotiv back ahead 8-11 before yet another Calathes-to-Gist alley-oop dunk. Miroslav Raduljica tied it again for Panathinaikos at 12-12 with a layup after a spin move. Lokomotiv grabbed its biggest lead at 12-16 following a Randolph layup and two Voronov free throws. Pavlovic pulled Panathinaikos within a point on a three-point play but Matt Janning came on and nailed a triple to re-establish Lokomotiv's four-point gap at 15-19. Panathinaikos scored the final 4 points of the quarter, however, the last ones on a strong layup from Williams for a 19-19 tie. Chris Singleton started the second quarter with a big block on a dunk attempt from Dimitris Diamantidis before Claver and Williams swapped free throws. Janning and Claver followed by nailing back-to-back three-balls as the Lokomotiv lead hit 23-27. Diamantidis answered with his own three-pointer but Delaney found a cutting Janning for a layup to make it 26-29. 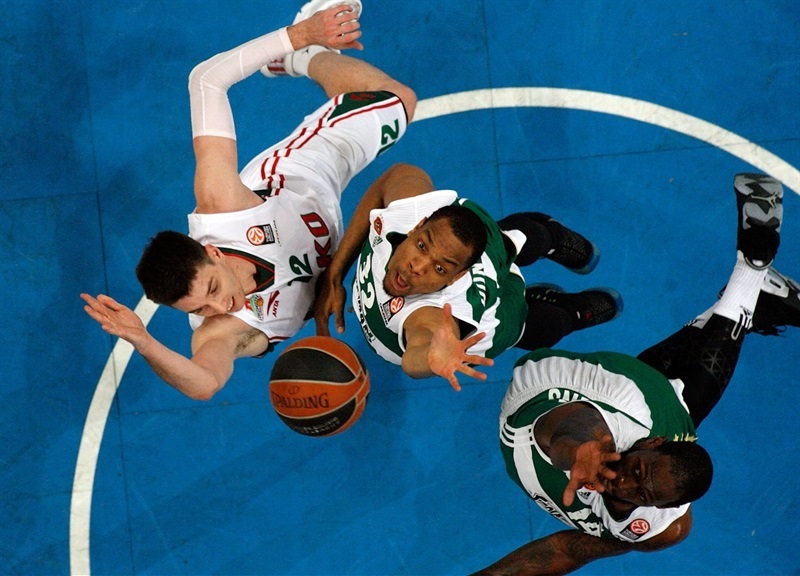 Gist trimmed the difference for Panathinaikos, but Andrey Zubkov hit from long range for a 28-32 advantage. Gist continued his fine game with a nice pass for a Raduljica dunk but Zubkov added 4 more points as the Lokomotiv lead swelled to 30-36. Panathinaikos came up with tough defense but could not manage much offense itself with Calathes twice splitting 2 foul shots to get the hosts within 32-36. Janning snapped a two-minute scoreless streak for Lokomotiv before Gist hit Panathinaikos’ first basket in nearly 4 minutes to make it 34-38. But Janning nailed a long three-pointer to give the guests their biggest lead thus far before free throws by Williams left a 36-41 halftime score. Voronov streaked to the basket for a layup to start the second half before free throws from Williams got Panathinaikos on the board. 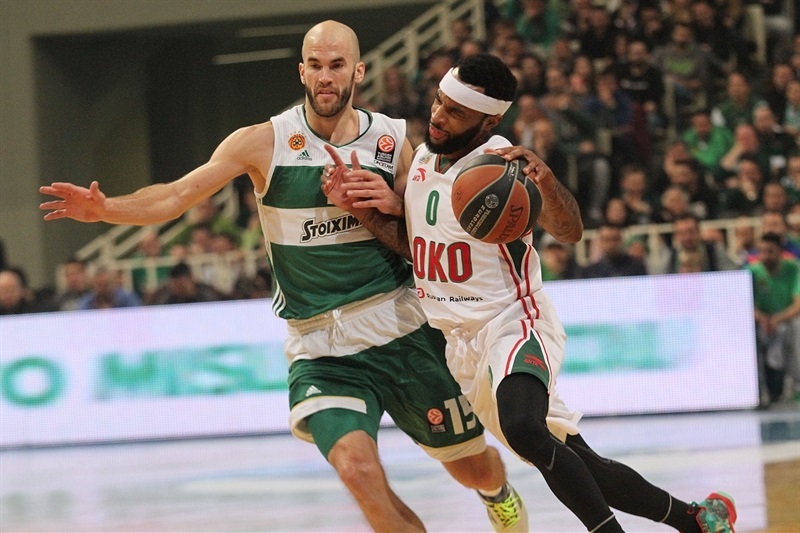 Randolph re-established a seven-point lead but Calathes scored 5 straight points to bring the Greens to within 43-45. Calathes and Gist connected again on an alley-oop but Lokomotiv was back up by 45-52 after a Randolph block and layup. 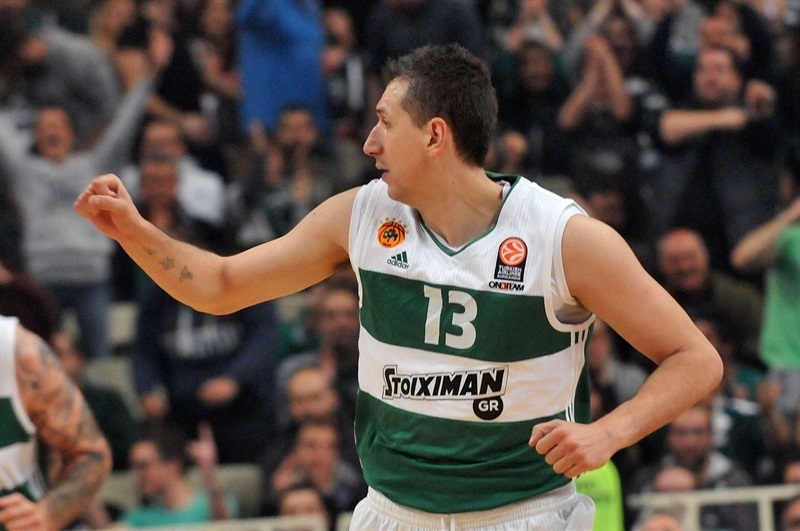 Diamantidis provided the hosts a spark offensively with a three-pointer, a steal and a layup to trim the gap to 50-52. Delaney scored 6 straight points then for Lokomotiv to keep the guests ahead 54-60. James Feldeine answered with a three-pointer for Panathinaikos but Janning came right back down and hit from long range, too. 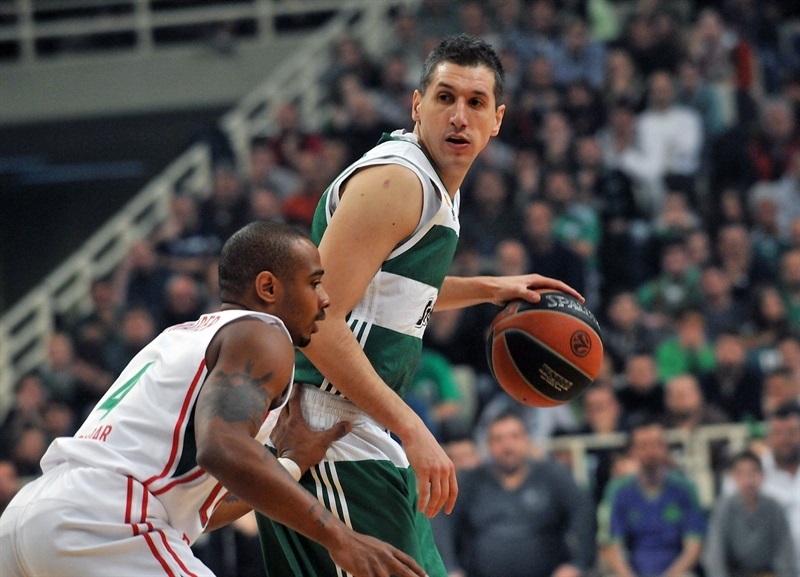 Diamantidis responded with three-point play as Panathinaikos trailed just 60-63 after 30 minutes. Vince Hunter got a tough basket to fall to start the scoring in the fourth quarter for Panathinaikos and his big put-back dunk off a Williams miss gave the hosts the lead, 64-63. Dontaye Draper came back down and nailed a trey to put the guests ahead and followed with another long ball as Lokomotiv's advantage rose to 64-69. Free throws by Delaney pushed it to 7 points before Diamantidis and Raduljica hit back-to-back baskets inside, then Calathes nailed a corner three to knot the game at 74-74. 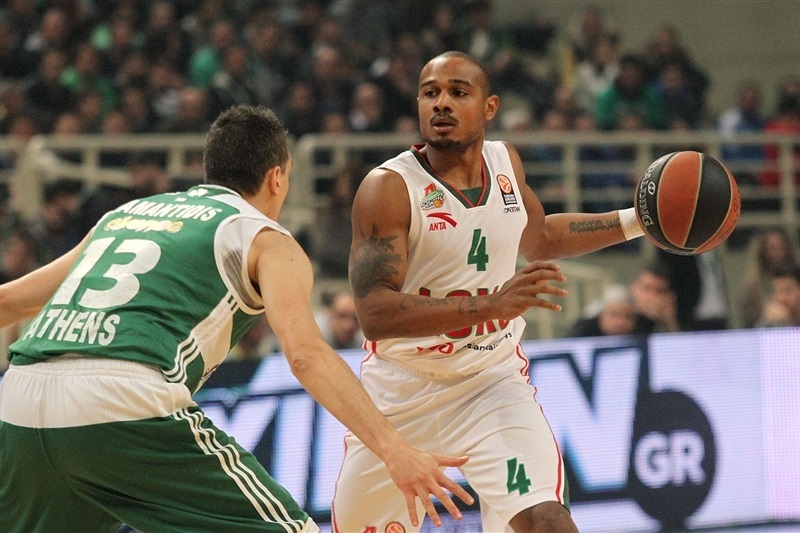 Singleton answered right back for Lokomotiv with a three-pointer to make it 74-77. 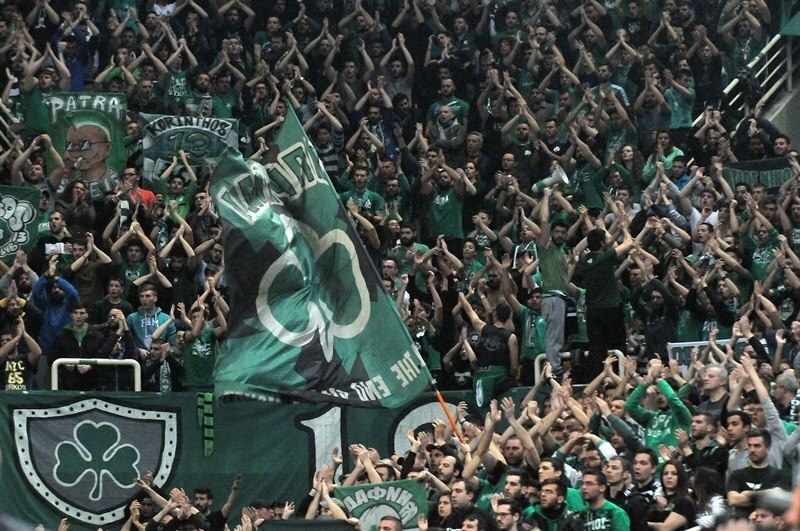 Panathinaikos responded with a big 10-0 run featuring a big dunk from Gist, 6 points from Williams and a fastbreak layup from Diamantidis for an 84-77 advantage. Lokomotiv fell apart in the final 3:35 minutes with 5 turnovers and 5 misses from the field. 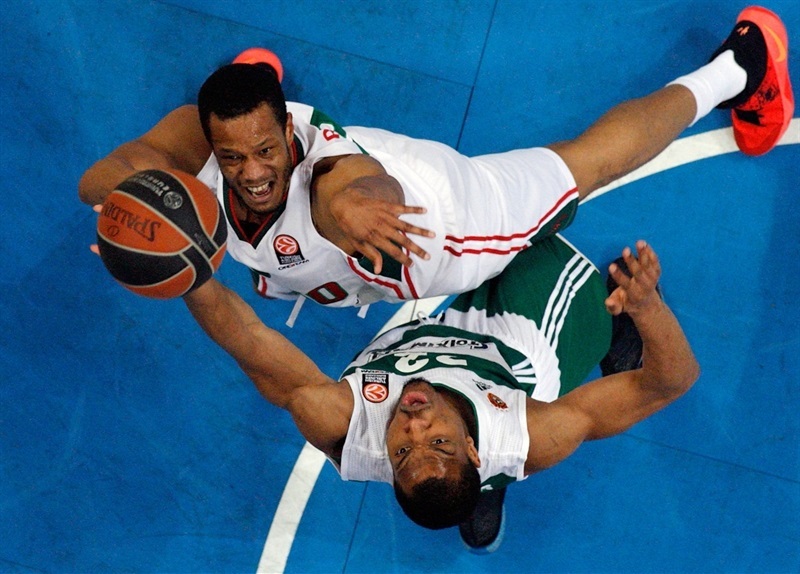 However, Randolph added a final basket with 2 seconds left to make sure Lokomotiv won the point difference in their split victories with Panathinaikos in case of a tie at the end of the Top 16. "We knew that we had to play against a very good team and this is the reason why I consider this victory a great one. We have been in trouble for most of the time, but we bounced back and made it at the end. In the last quarter, we improved our defense and had the right decisions on offense. We had the opportunity to get the tie-break difference, but regardless of the result, I think that our reaction is something we have to keep as a big plus. This reaction proves the quality of our team. We are going step by step. I am happy to play in front of 15,000 fans and see my teammates and the whole team fight. I enjoy it and as the time goes by and I play the last games of my career, my target is to be always decent."